I don’t know what happened to the…what I can only assume must have been a giant riding a bicycle, but at least someone was able to make good use of the wheels and spokes he left behind. Now people and animals alike have a safe way to get across this road. 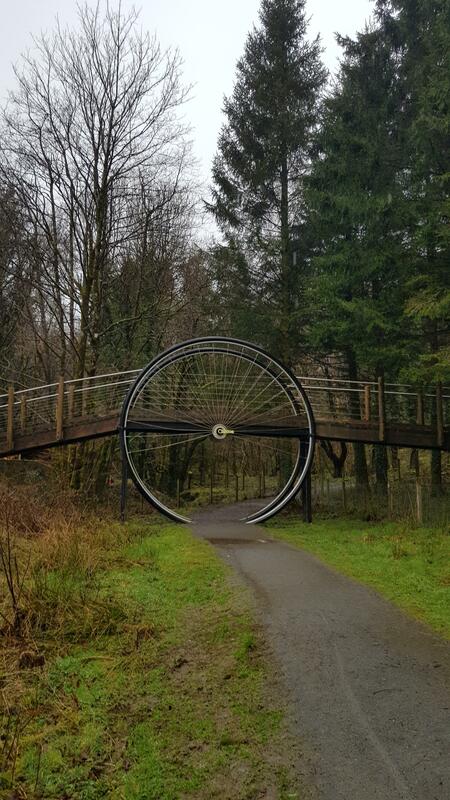 For being so creative, this bicycle bridge is awarded the Green Wings Award.